If you've been reading this blog for awhile, you know I'm a fan of a good novelty cake. Even when I was on Whole30, I had a fun "cake". Scott surprised me this birthday weekend starting off with Milk Bar's Momofuku famous Birthday Cake from Goldbely. We wanted to try some in NYC last time we visited but we were short on time and missed the opportunity. And then Friday afternoon, the UPS man drops off a cake I've been thinking about trying for months. I'm on a AIP diet for most days and this cake was a treat to have. I had a slice, prayed it didn't cause mess up my AI (it didn't!) and shared the rest with friends. 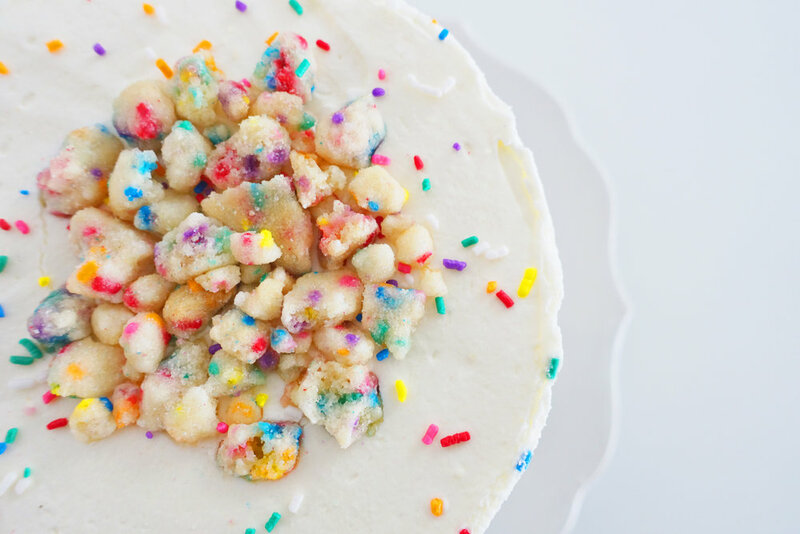 According to Milk Bar, this cake is a"vanilla rainbow cake layered with rainbow cake crumbs, topped with vanilla frosting". Goldbely is a service that delivers delicious food all over the country, this isn't sponsored but if you use my referral code, I'll get credit to order more fun items to show on this blog in the future!